Do you have a love for Tigger, oh I mean Tigers? 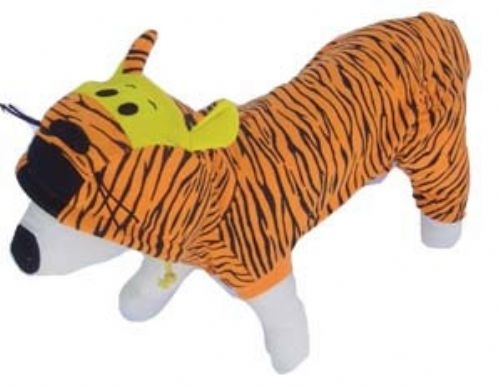 If so this Tigger inspired dog costume will be the best costume for your dog. You can dress him up for birthday parties, Halloween or just for fun.